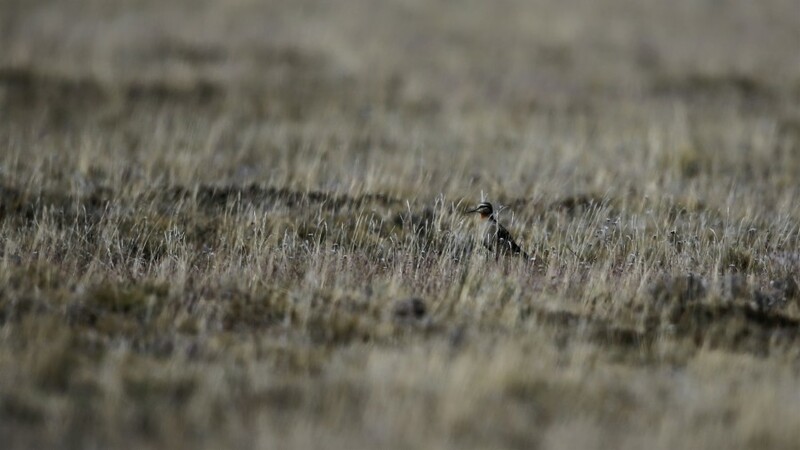 Tawny-throated Dotterel in full breeding plumage up close and on the Patagonian Steppe. Photos by Brad Winn. November in southern Patagonia and Tierra del Fuego is a buzzing blend of breeding and nonbreeding shorebirds. For South American shorebirds like Least Seedsnipe (Thinocorus rumicivorus), Rufous-chested Dotterel (Charadrius modestus), and Magellanic Oystercatcher (Haematopus leucopodus), the breeding season is in full swing. 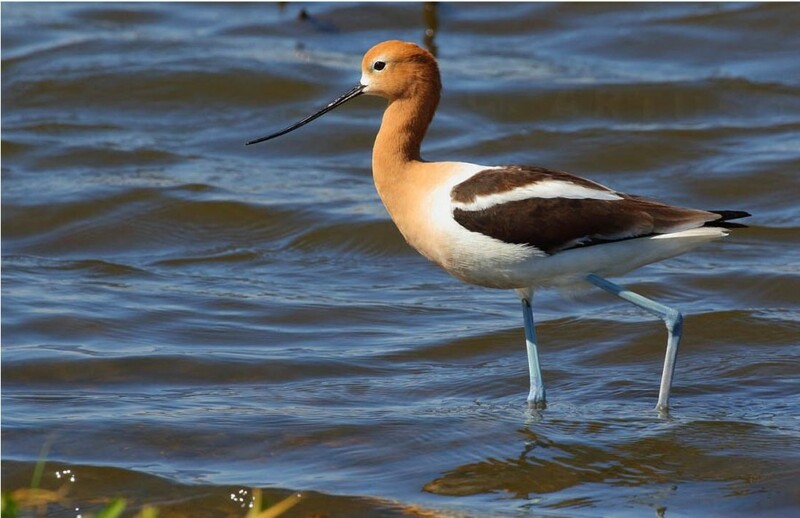 Birds are looking sharp in peak breeding plumage and there is an abundance of territorial behavior. Least Seedsnipe sing and perform flight displays in attempts to court a mate, or they sit atop fence posts to keep a watchful eye. Male Rufous-chested Dotterels aggressively chase each other in and out of disputed territories. Magellanic Oystercatchers elaborately distract us away from nearby nests with tail-flagging displays (Miller and Baker 1980). 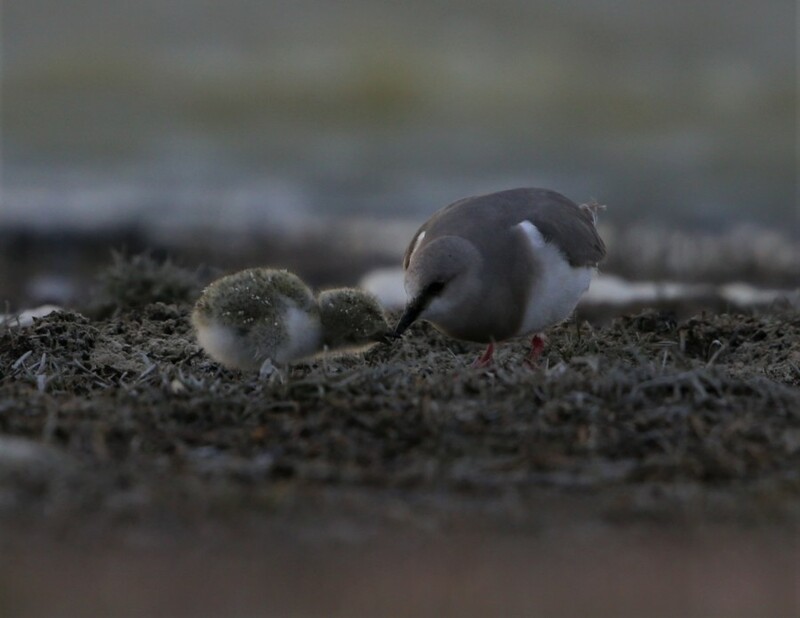 And Magellanic Plover (Pluvianellus socialis), the small, gray, dove-like shorebird with an estimated population of 1,500 birds (Wetlands International 2019), searches for invertebrates and delicately feeds them to nearby chicks tucked just out of the wind. This is a particularly special sight because only a few shorebird species feed their young, namely oystercatchers and the Crab Plover (Dromas ardeola) of Indian Ocean coasts. Least Seedsnipe on a fencepost (Brad Winn). 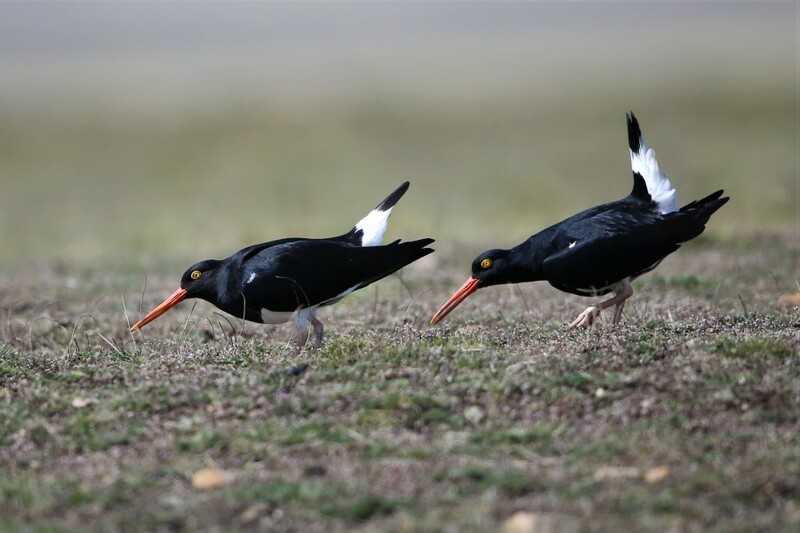 Magellanic Oystercatchers displaying (Brad Winn). 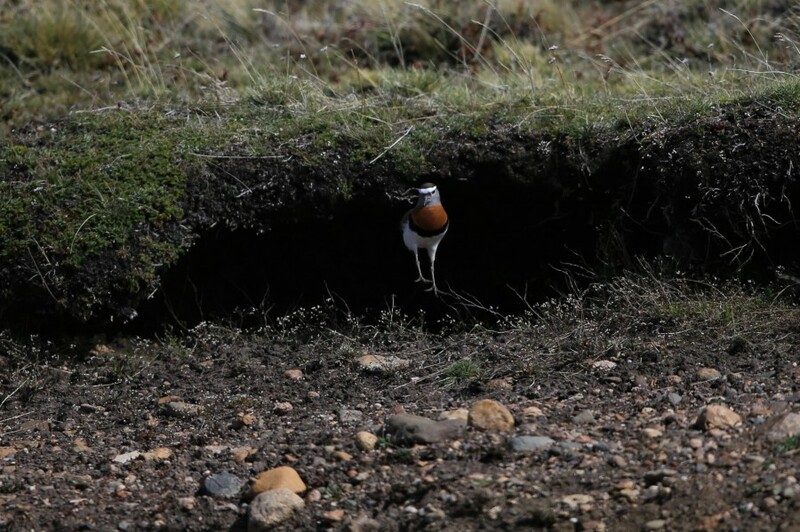 Male Rufous-chested Dotterel approaches and jumps off cliff to avoid another male (Brad Winn). 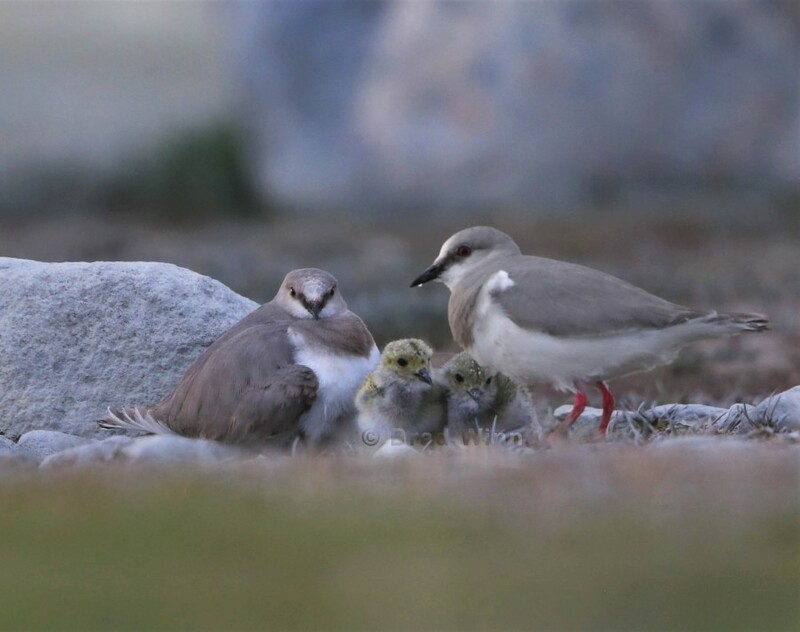 Magellanic Plover family (Brad Winn). Magellanic Plover adult feeding a chick (Brad Winn). 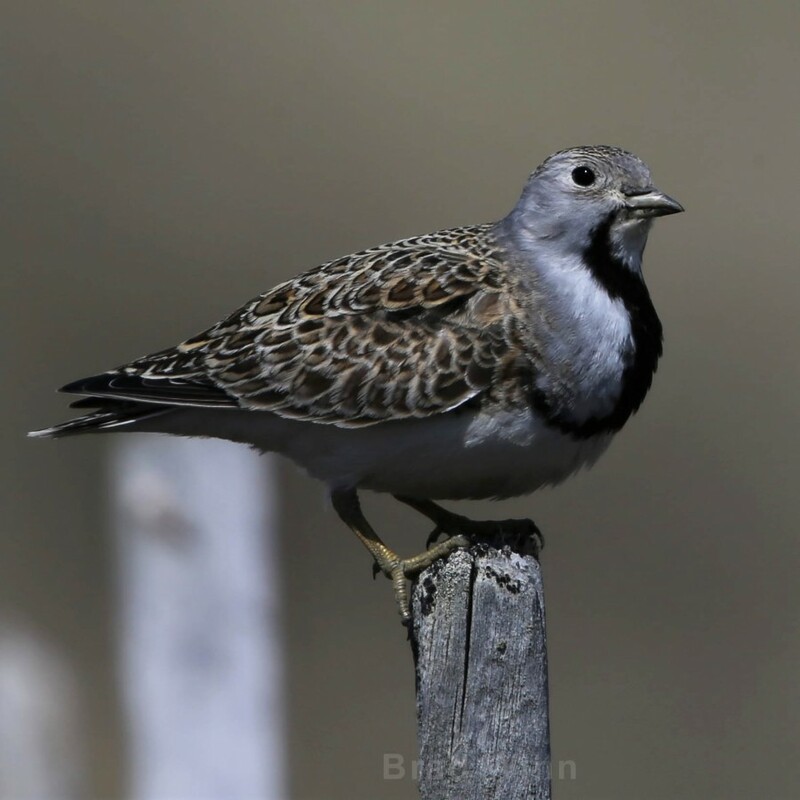 For the shorebirds that have made the long-distance haul to spend the North American winter in the South American summer, their behavior and plumage stands in stark contrast to breeding Austral migrants. White-rumped and Baird’s Sandpipers (Calidris fuscicollis and C.bairdii), Red Knots (C. canutus rufa), and Hudsonian Godwits (Limosa haemastica) are dressed in their dull, nonbreeding plumage. 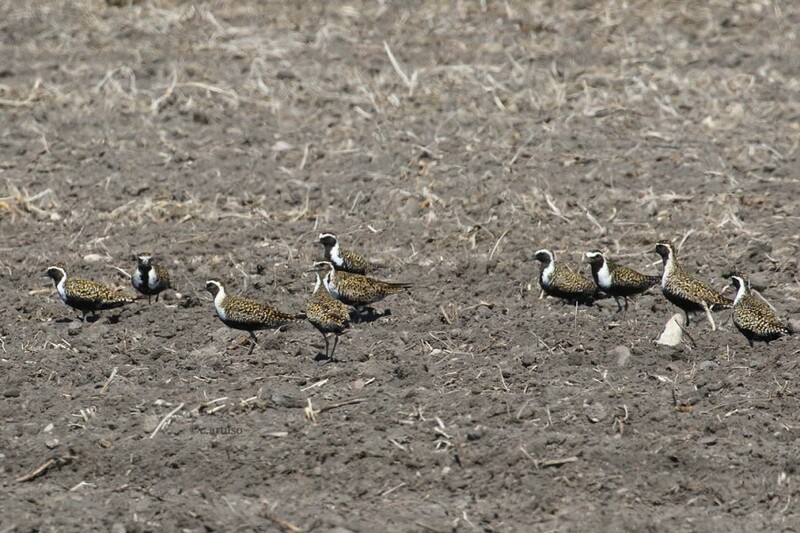 These species are roosting and flying together in mixed-species flocks, behaviors seen during the nonbreeding season. 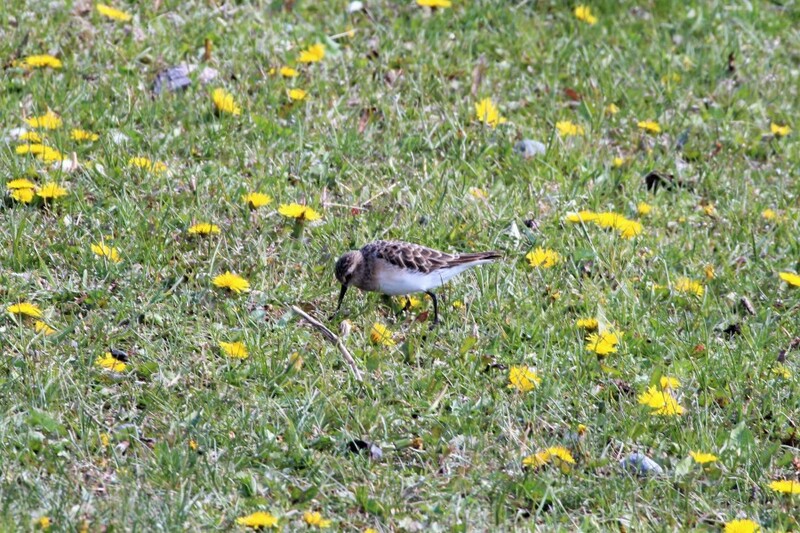 A White-rumped Sandpiper leaves the roost (Monica Iglecia). A Baird’s Sandpiper forages on an Estancia (Monica Iglecia). 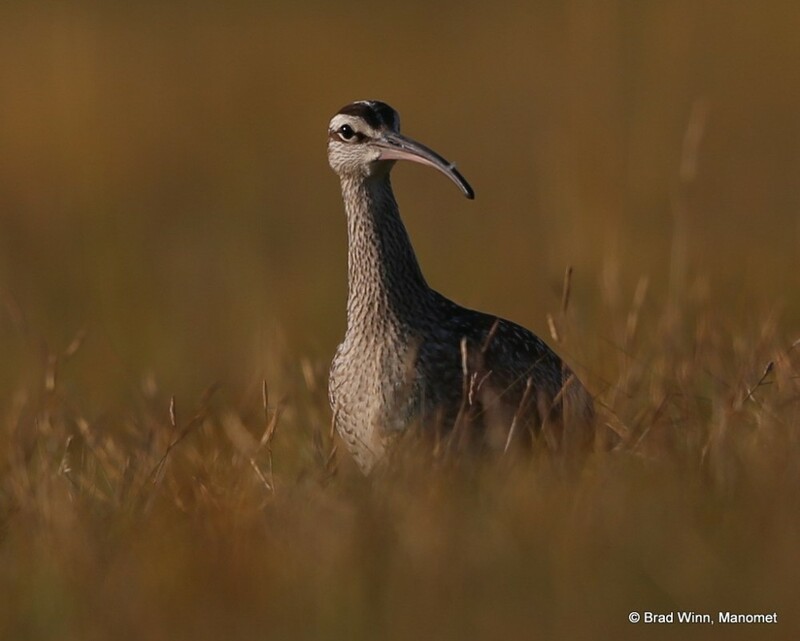 The Manomet team has followed the long-distance migrating shorebirds that breed in the North American Arctic, to their nonbreeding home in the treeless, windswept, bays, beaches, and uplands at the southern end of the South American continent. We are here to deliver two “Shorebird, Conservation, and Management Workshops” in collaboration with our partners. 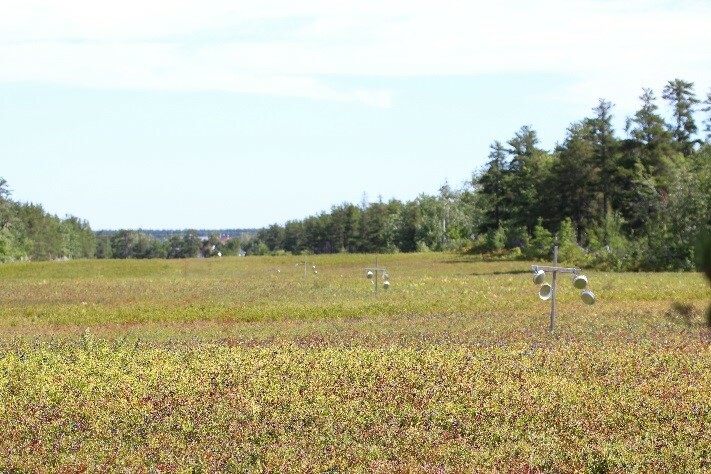 By delivering educational and immersive workshops we create important opportunities to ensure that the key habitats that shorebirds depend upon are effectively protected and managed. 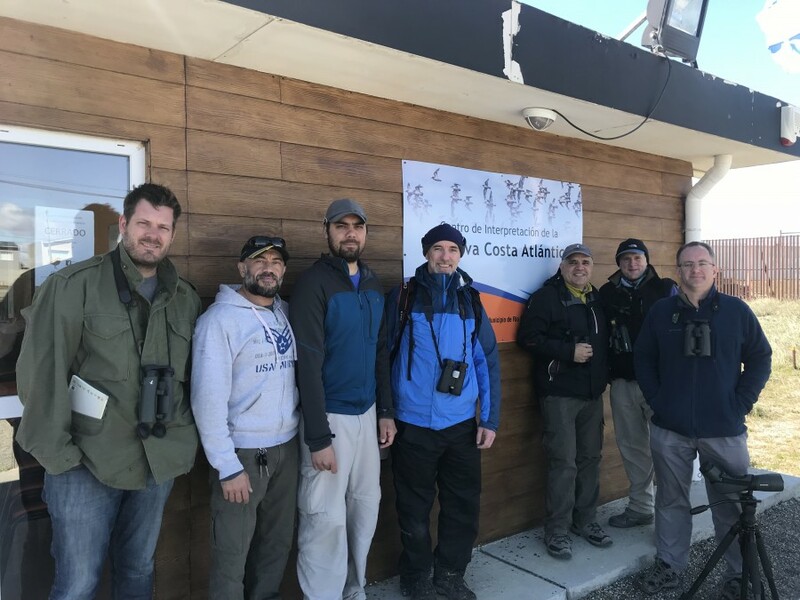 Over the course of each workshop, we share knowledge, build appreciation, and identify and discuss management techniques that can be implemented at important shorebird sites throughout the hemisphere. Rob Clay, Brad Winn, Carmen Espoz, Jim Lyons, Diego Luna Quevedo, and Monica Iglecia. 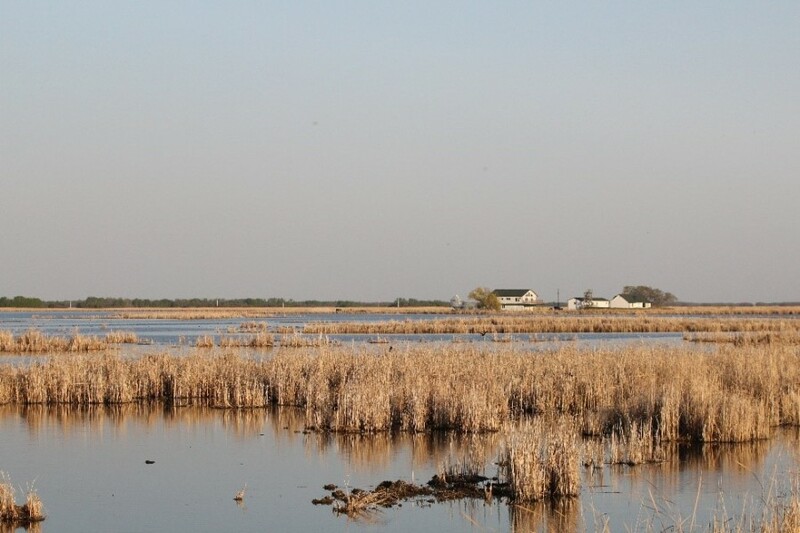 Manomet began working with partners to conserve the Rio Gallegos Estuary in Argentina in 2004. 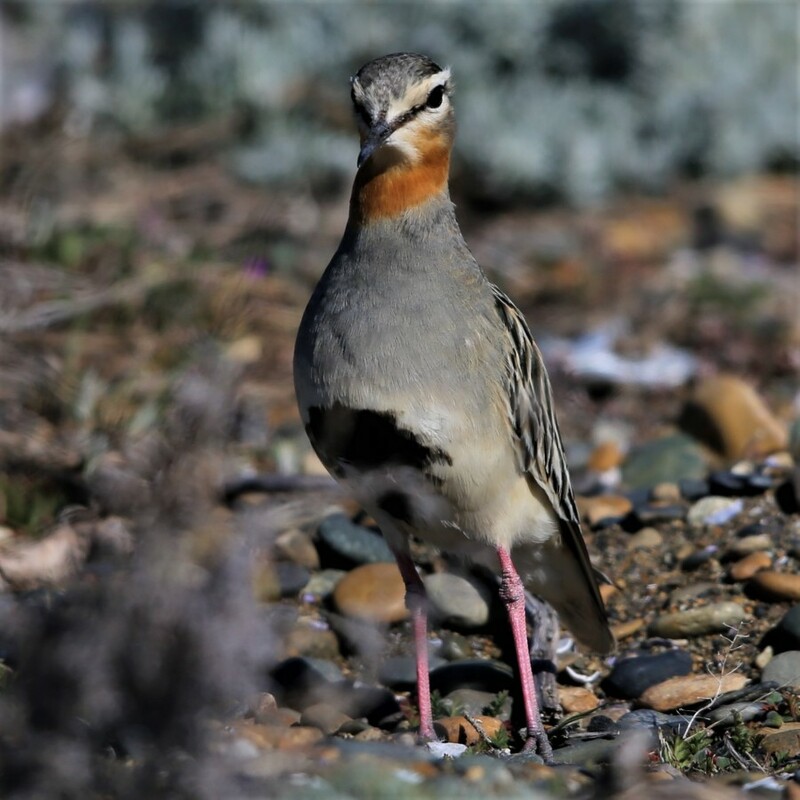 This work was punctuated with a highlight in 2005 when it designated as a Western Hemisphere Shorebird Reserve Network (WHSRN) site of International Importance for hosting 10% of the world’s population of Magellanic Plover plus more than 20,000 other shorebirds. 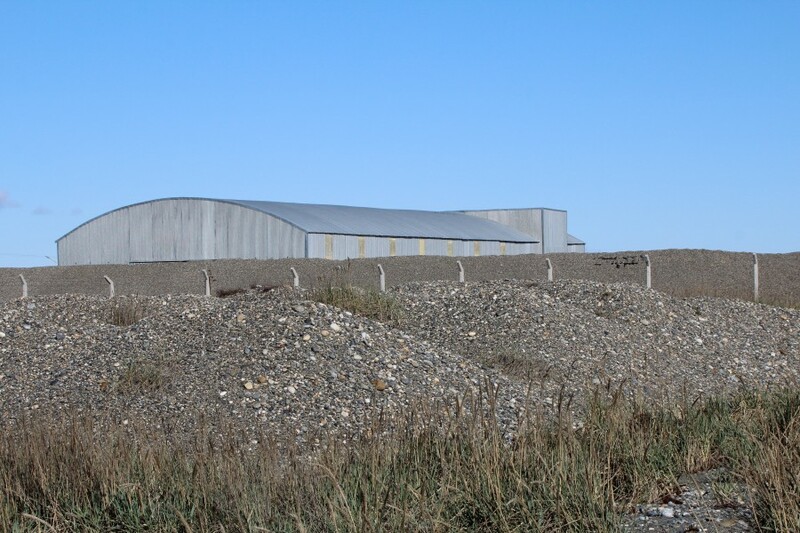 Another highlight came in 2011 when Manomet helped support the building of the Center of Environmental Interpretation (el Centro de Interpretación Ambiental del Estuario del Río Gallegos). We were thrilled to continue our collaboration in Rio Gallegos in late 2018 by partnering with conservation leaders at Asociación Ambiente Sur to deliver a workshop in this very building. 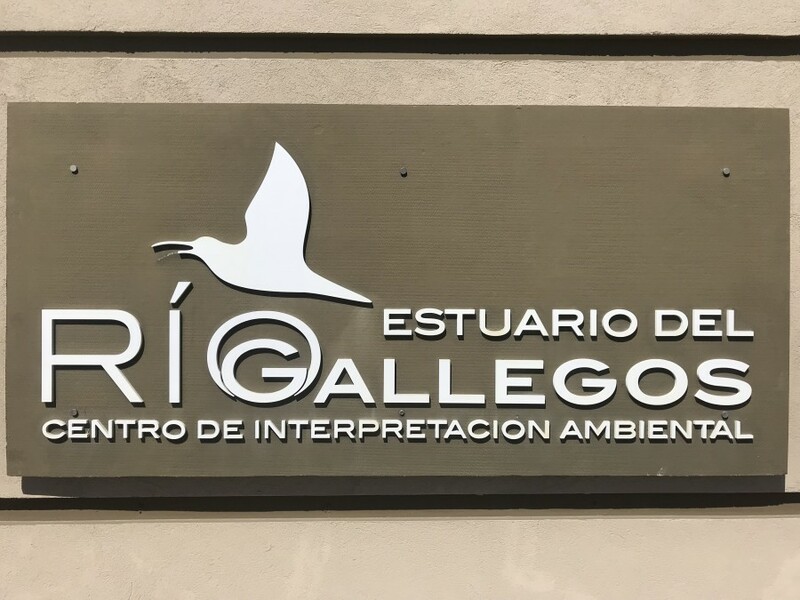 The entrance sign at el Centro de Interpretación Ambiental del Estuario del Río Gallegos (Monica Iglecia). 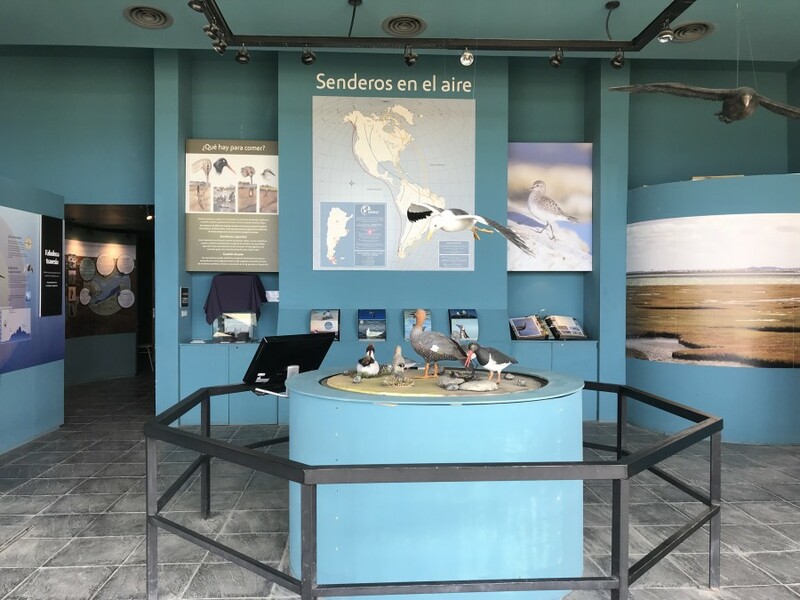 Environmental displays inside el Centro de Interpretación Ambiental del Estuario del Río Gallegos (Monica Iglecia). 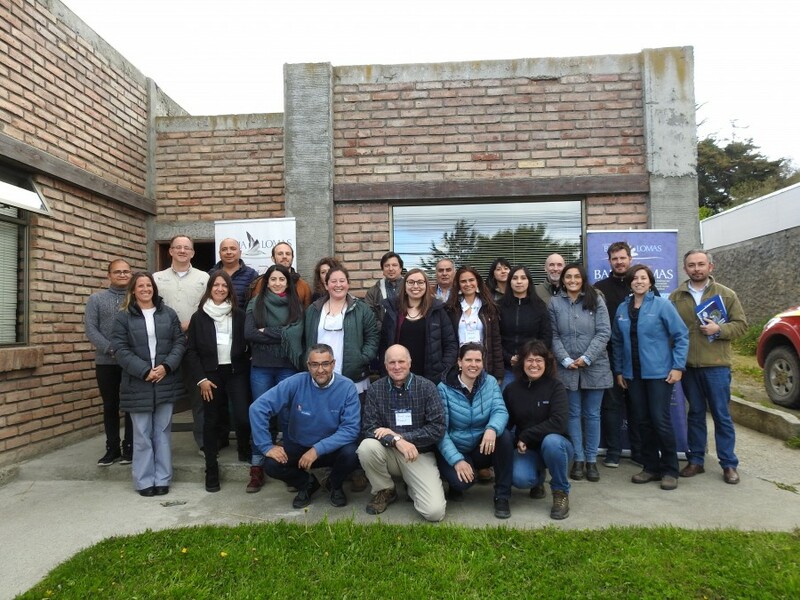 The Rio Gallegos workshop was attended by twenty-four participants from the provinces of Santa Cruz and Tierra del Fuego, Antarctica and the South Atlantic Islands. Attendees represented environmental and tourism departments of local and nearby municipalities including the Municipal Environmental Agency of Rio Gallegos and the Municipality of Rio Grande as well as staff of Asociación Ambiente Sur, biologists from the Laguna Nimez Reserve, and students from the National University of Austral Patagonia (Universidad Nacional de la Patagonia Austral), to name a few. 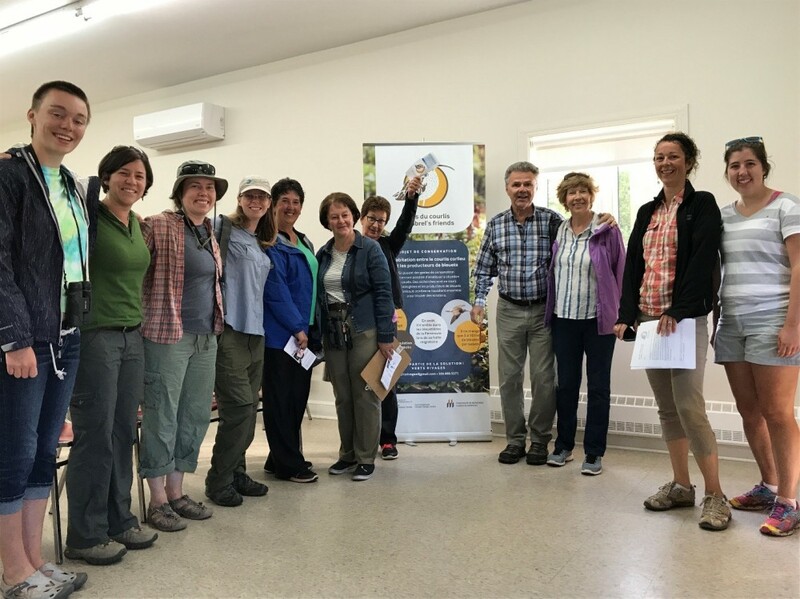 Through their professional positions, workshop participants represented over 15,000 acres of shorebird habitat in these provinces. Facilitated discussions centered on local threats to shorebirds included disturbance and predation caused by free-ranging dogs with and without owners, the rising threat and health risk of mismanaged waste, and the impacts of legal and illegal fishing. These discussions are critical to identifying collective next steps for regional conservation action. 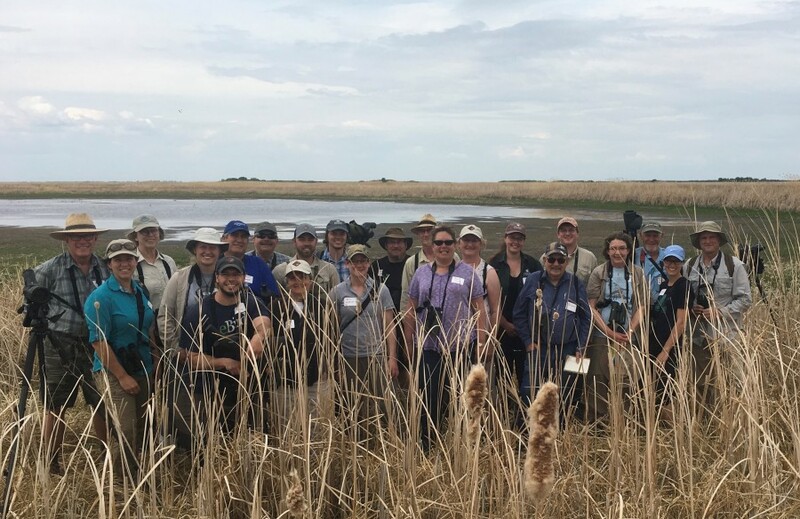 The workshop group during a visit to the Rio Gallegos estuary (Brad Winn). Fabian Tejerizo speaks with a dog walker about the importance of keeping dogs leashed (Monica Iglecia). 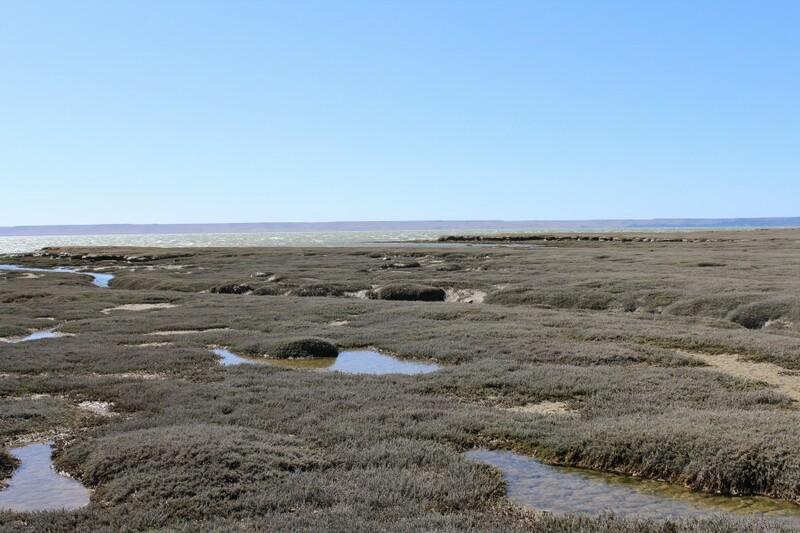 Open expanses of sarcocornia sp in the Rio Gallegos estuary (Monica Iglecia). 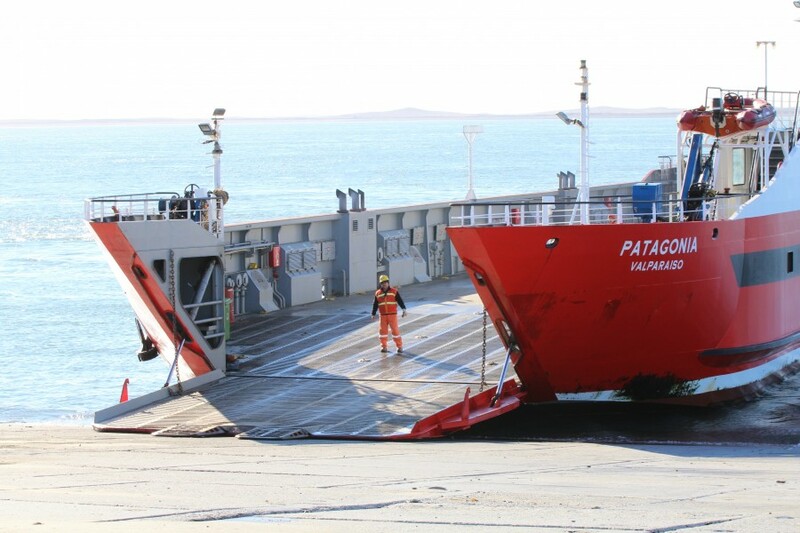 From Rio Gallegos, our team caught a ferry south across the Strait of Magellan to visit the island of Tierra del Fuego. 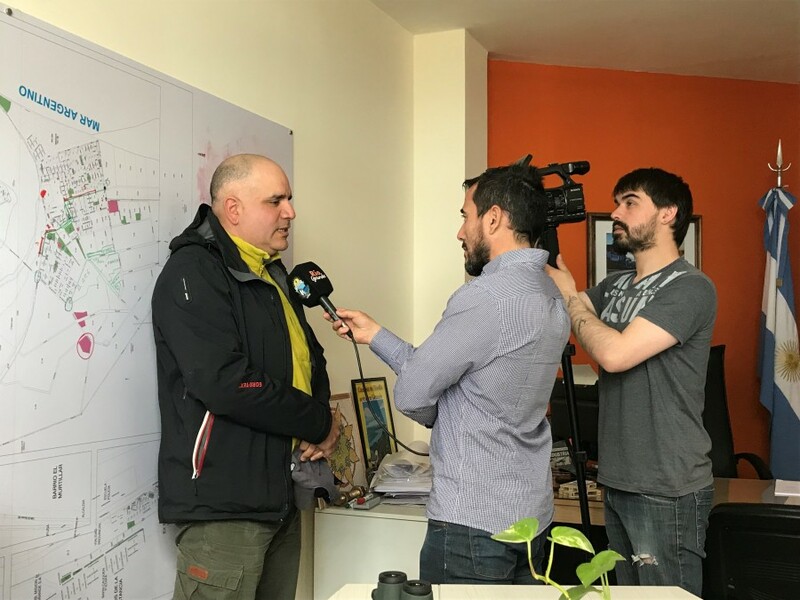 Here, we met with local stakeholders and one of the managers for the WHSRN site the Atlantic Coast of Tierra del Fuego Reserve (Reserva Costa Atlántica de Tierra del Fuego) in the Argentinian city of Rio Grande. This site of Hemispheric Importance was designated in 1992 to protect long-distance migratory shorebirds including Hudsonian Godwit, Red Knot, and White-rumped Sandpiper, as well as locally breeding Rufous-chested Dotterel and Two-banded Plover (Charadrius falklandicus). The reserve is also an important wintering area for the one species of shorebird to breed in Antarctica – the Snowy Sheathbill (Chionis albus). Discussions with local stakeholders focused on how offshore mining of aggregates has increased coastal erosion, leading to the loss of important shorebird habitat, and potentially also driving changes in the benthic fauna (i.e. 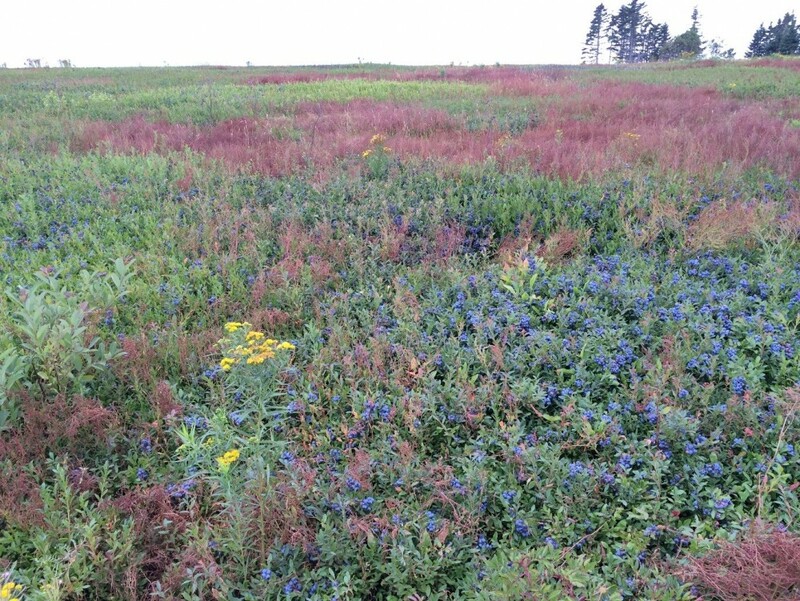 the food source for many shorebirds). 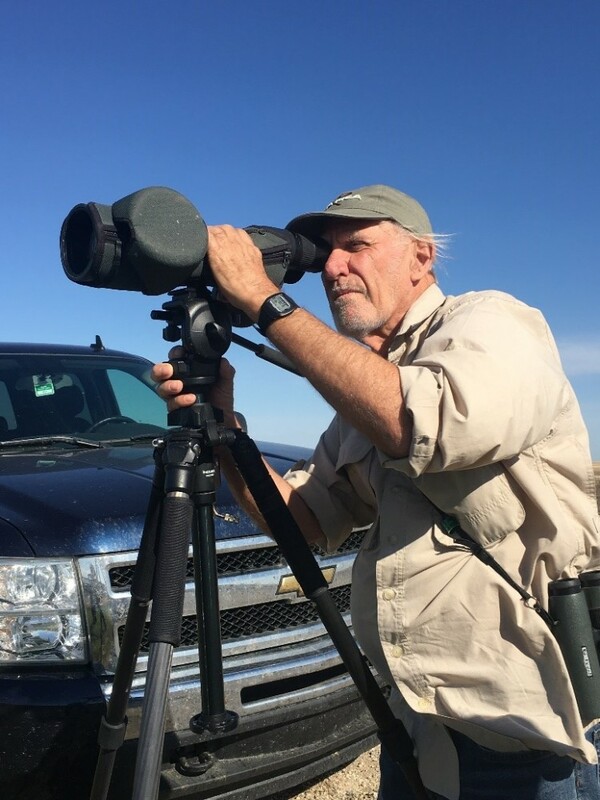 And within the city of Rio Grande, free-ranging dogs frequently disturb roosting and foraging shorebirds (and feral dogs are increasingly becoming a problem in rural areas). During our visit we were able to visit the reserve’s Interpretation Center in Rio Grande (Centro de Interpretación de la Reserva Costa Atlántica) and see the next generation of shorebird conservationists (a local school group) enjoying the interactive displays and the opportunity to appreciate nature on their doorstep. Tabaré Barreto being interviewed about the importance of Rio Grande for shorebirds (Monica Iglecia). Piles of cleaned and sorted aggregates in Rio Grande (Monica Iglecia). We next headed north and west to Punta Arenas, Chile for the second workshop of the trip. Waiting to board the ferry to Tierra del Fuego via the Strait of Magellan (Monica Iglecia). 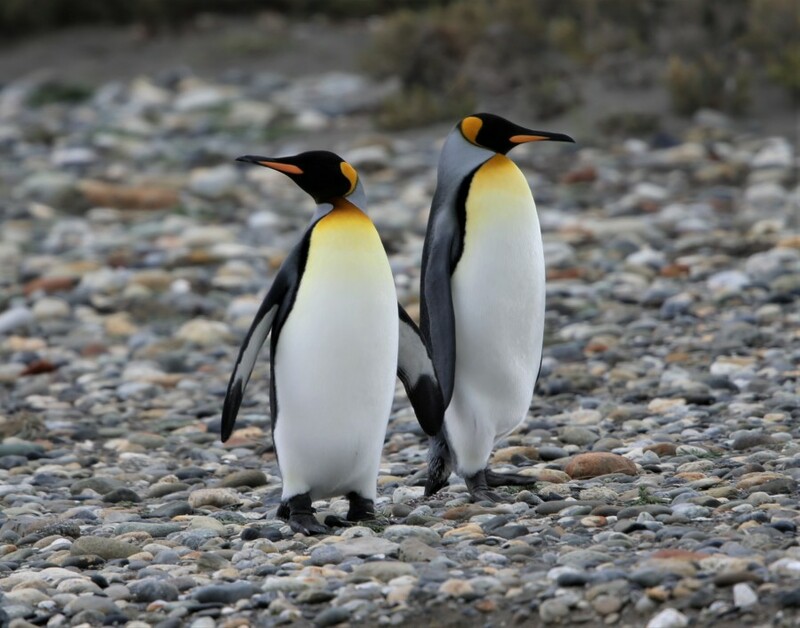 King Penguins on Tierra del Fuego (Brad Winn). Bahía Lomas is remote – the bay is situated on the Atlantic side of the Strait of Magellan and the north end of Tierra del Fuego. 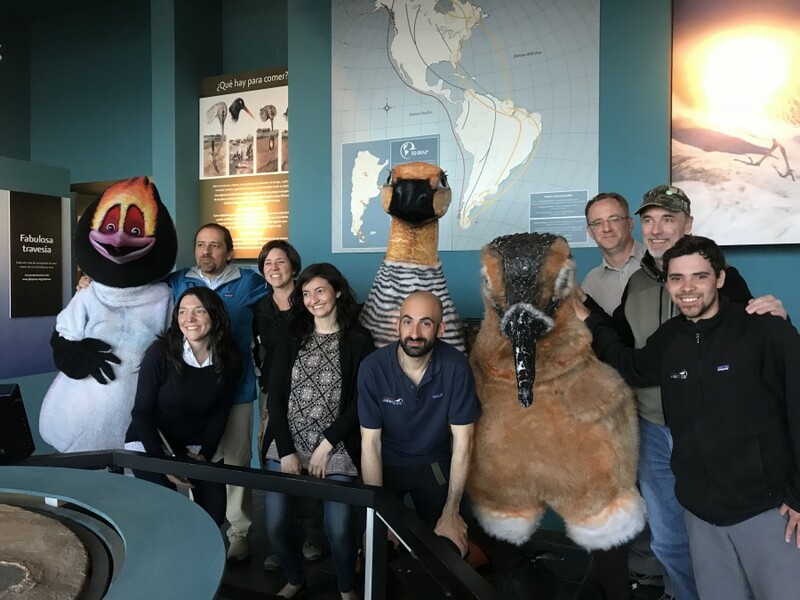 For this reason, we held the workshop in the city of Punta Arenas, Chile where Centro Bahía Lomas, our nonprofit partner dedicated to the conservation of Bahía Lomas through research, education, and public outreach, is headquartered. Bahía Lomas was designated as a WHSRN site of Hemispheric Importance in 2009, primarily for its unparalleled importance to the rufa Red Knot. 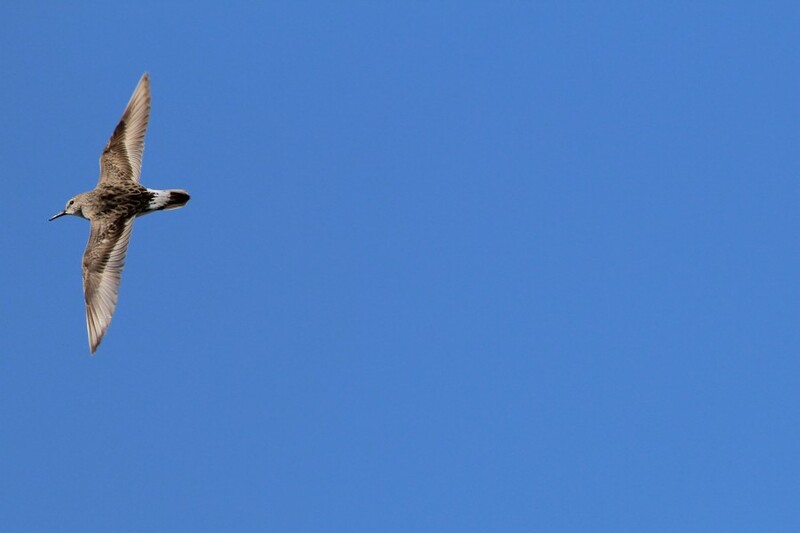 This Atlantic Flyway subspecies of Red Knot has experienced a population decline of more than 75% decline since the 1980s and has been listed as Threatened in Chile and Federally Threatened under the U.S. Endangered Species Act (USFWS 2013). 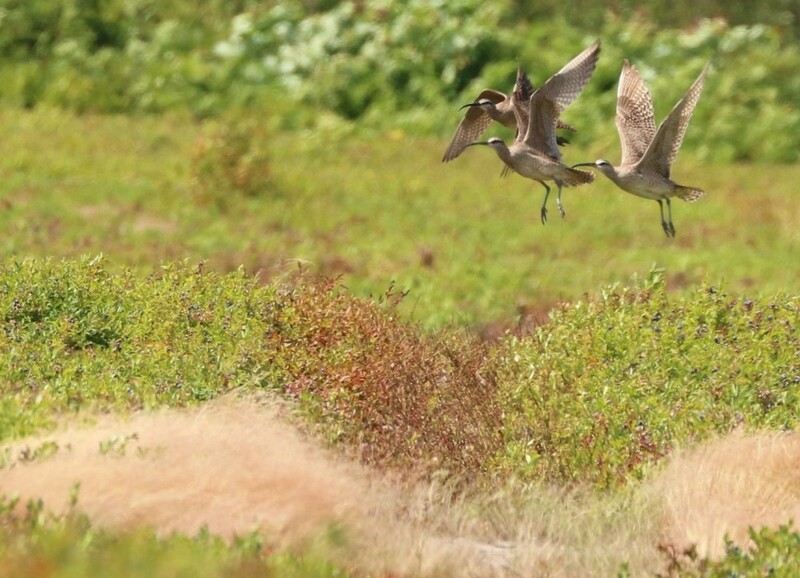 Bahía Lomas provides important habitat for other shorebird species as well, it is the second most important known nonbreeding site (second to the wetlands of Chiloé Island, Chile) for Hudsonian Godwit. 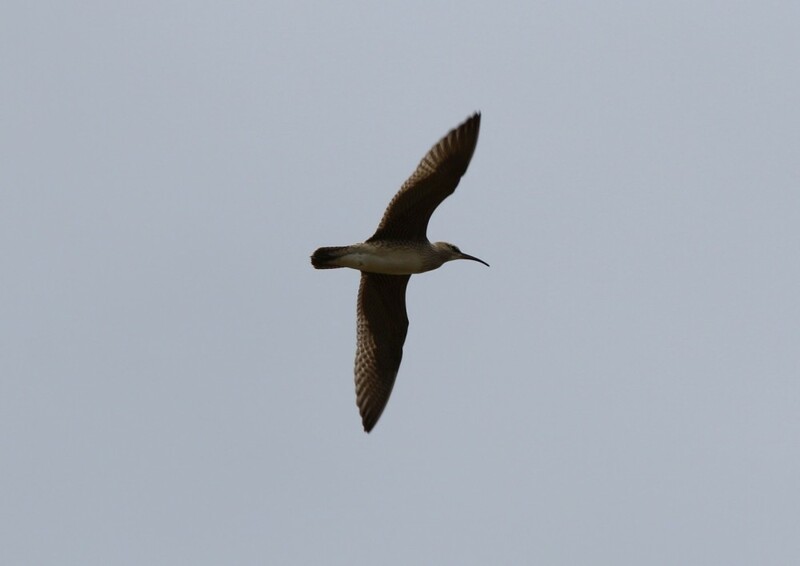 10,000-12,000 Hudsonian Godwit have been recorded using the bay during the nonbreeding season. Manomet has worked with partners in Bahía Lomas for more than a decade to understand and protect this important resource. Since the WHSRN designation, some of the conservation efforts in Bahía Lomas have included dedicated monitoring of shorebird populations, the opening of the Bahía Lomas Center in 2012, the development of a site-based management plan, and an official request to declare the bay as a National Nature Sanctuary. The workshop in November 2018 is a continuation of this partnership in the region. 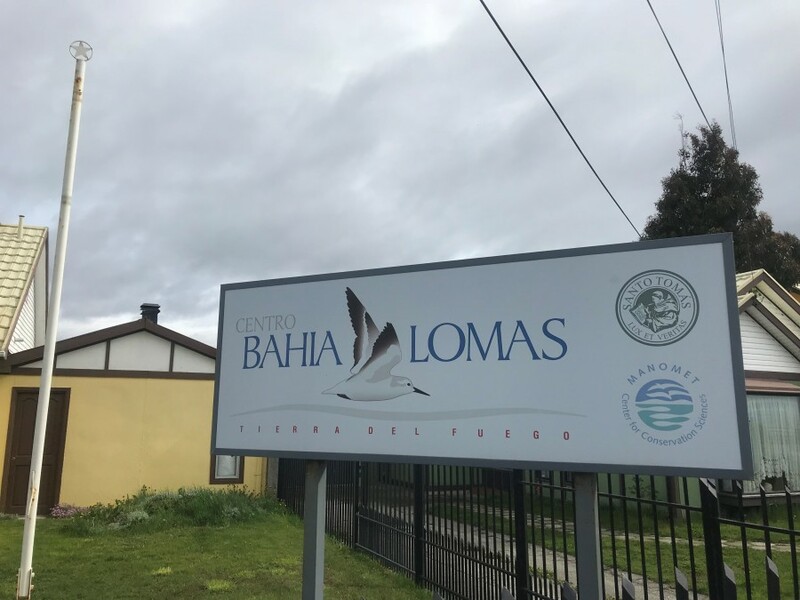 The sign for Centro Bahía Lomas in Punta Arenas (Monica Iglecia). 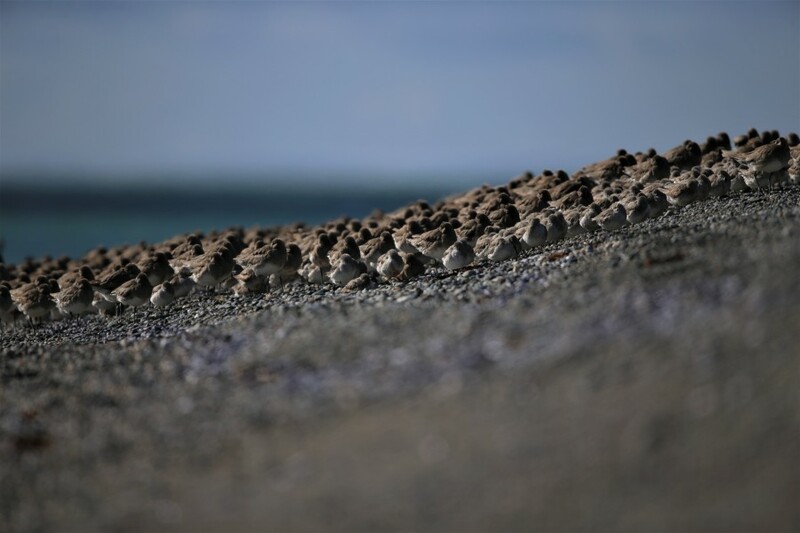 Roosting Red Knots and Hudsonian Godwits on the edge of Bahía Lomas (Carmen Espoz). Working with Centro Bahía Lomas and the University of Santo Tomas we delivered a three day workshop attended by nineteen participants from the University of Magallanes, nonprofit organizations such as the Center for Rehabilitation of Oiled Birds (Centro de Rehabilitación Leñadura), regional councils and parks such as the Strait of Magellan Park (Parque del Estrecho de Magallanes), and national agencies including the Ministry of the Environment (Ministerio del Medio Ambiente) whose responsibilities collectively care for and work with more than 140,000 acres of habitat. The workshop group in Punta Arenas (Monica Iglecia). 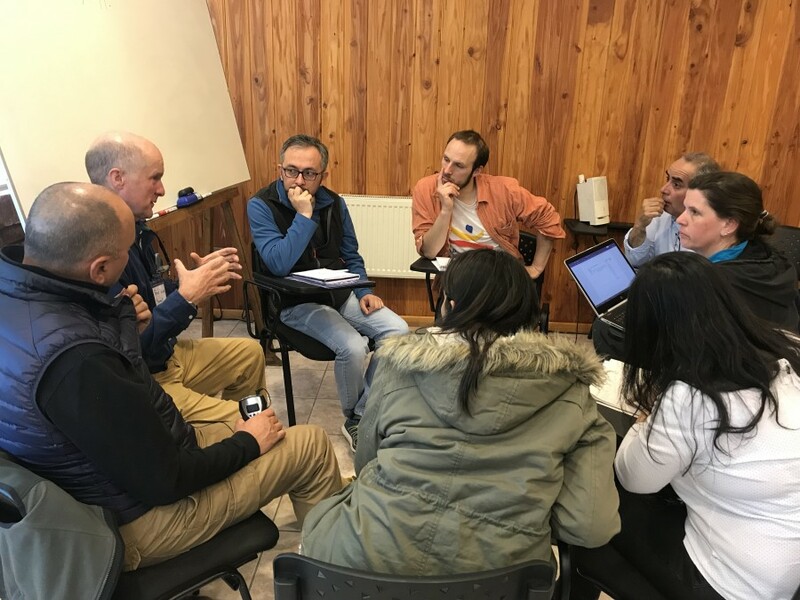 Group discussions in Punta Arenas (Monica Iglecia). In multiple discussion sessions, participants shared personal experiences working in conservation as well as lessons learned over time. The diverse group of conservation practitioners discussed strategies to address threats like oil spills and an increasing need to balance public connections to the bay while also minimizing human disturbance and associated human impacts. Participants also identified gaps in knowledge and the additional partners needed to help meet conservation objectives in Bahía Lomas. The results of these discussions will contribute to the update of the Bahia Lomas Management Plan. During an all-day field visit to Bahía Lomas, requiring multiple hours by bus and ferry, participants experienced the immensity and fragility of this bay and its importance to Nearctic and Austral migrant shorebirds first hand. Walking along the beach at high tide, we encountered a roosting flock of thousands of Hudsonian Godwits, Red Knots, and White-rumped Sandpipers. Just a few hundred meters away, dozens of Magellanic Oystercatchers kept an eye on our slowly approaching group. 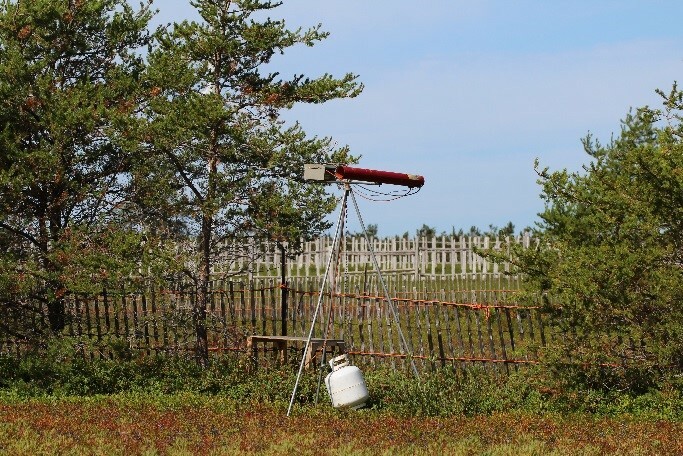 Yet, even in this remote bay, the offshore presence of in-use and defunct oil platforms and large cargo ships were stark reminders of the human presence in the region. 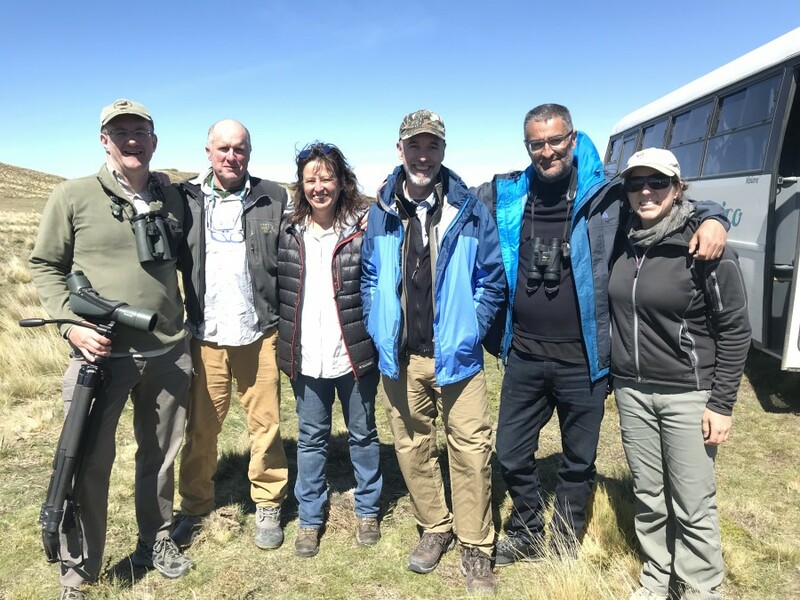 “I think that the workshop was a great opportunity to participate in the shorebird workshop provided by experts here in the Magellan region, especially because to participate in these kinds of training activities we usually have to travel outside the region. In my case, I work in environmental education, this workshop allowed me to be more prepared to host future workshops and deliver presentations to others, and also to include new important topics related to shorebirds in my outreach activities” – Jessica Paredes, Education Manager, Centro Bahía Lomas. 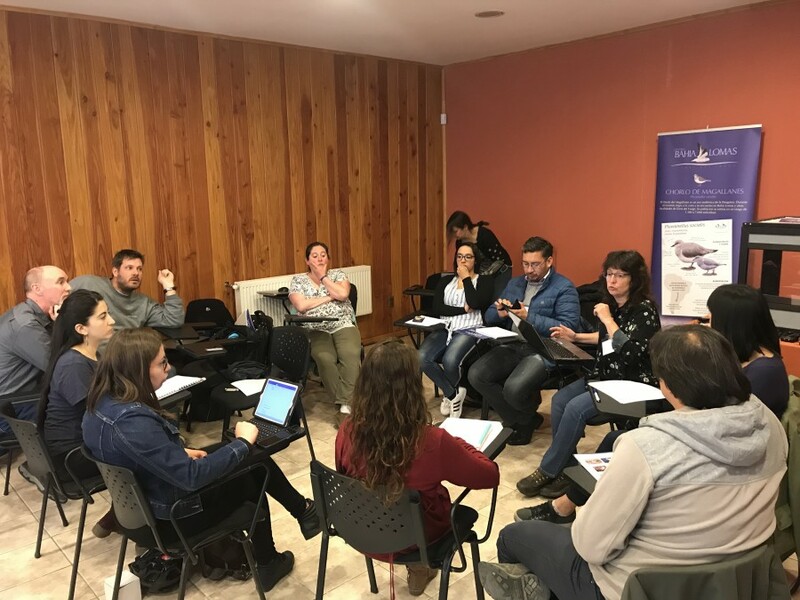 Our workshops in southern South America focused on strengthening existing partnerships, facilitating new alliances, and building local capacity for continued monitoring and management efforts. 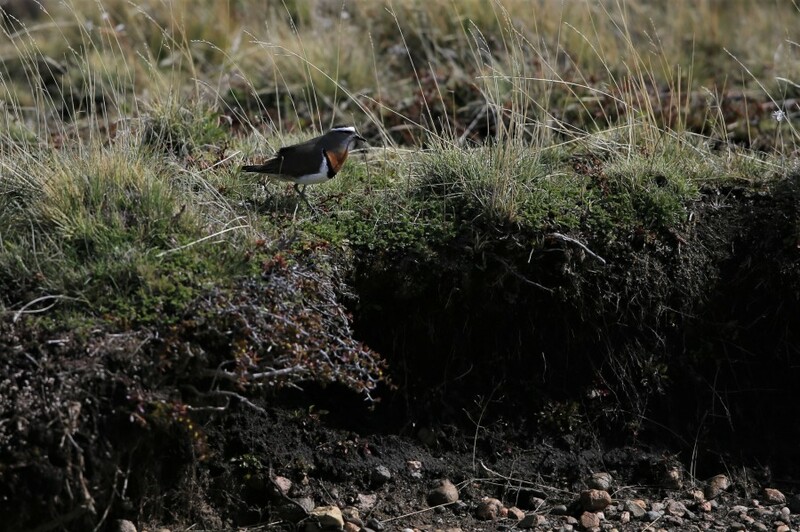 These efforts directly contribute to the protection of these crucial habitats whose health is linked to the sustainability of shorebird species that are shared across the North and South American continents as well as species only found in South America. 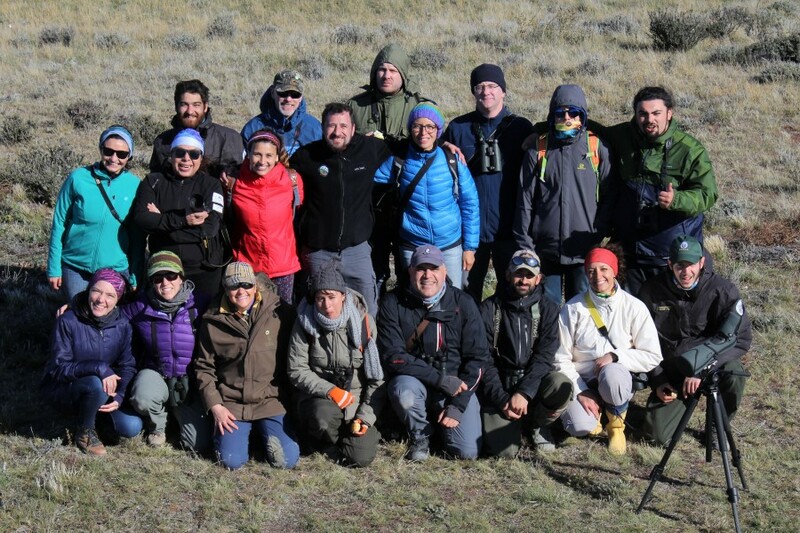 The relationships developed and fortified during these workshops have long-lasting impacts that ripple out through our participants and partners, helping empower a culture of shorebird conservation and ensuring that all remains abuzz in Patagonia and beyond. Our workshop ended with the opening celebration of the Festival of Birds in Rio Gallegos. Arne Lesterhuis, Gustavo Criado, Agustín Ramos, Jim Lyons, Tabaré Barreto, and Rob Clay at the Centro de Interpretacíon de la Reserva Costa Atlántica (Monica Iglecia). 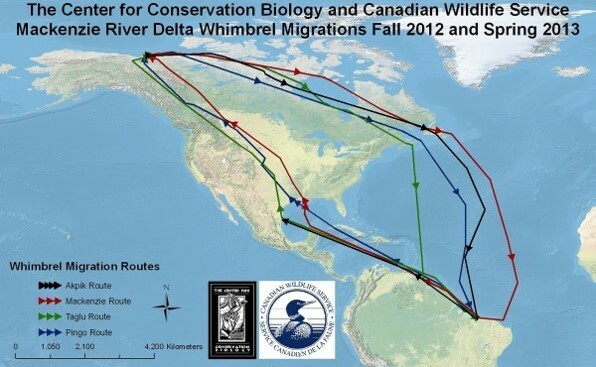 Generous support for these workshops and work was provided by the BAND Foundation, the Bobolink Foundation, Environment and Climate Change Canada, Neotropical Migratory Bird Conservation Act (via United States Fish and Wildlife Service), Patagonia, Inc., and individual donors. Want to read more about the workshop? Paula Leighton of El Mercurio wrote a news story about Bahía Lomas after participating in our workshop. Our visit to Rio Grande and the importance of the region was featured in a news article. 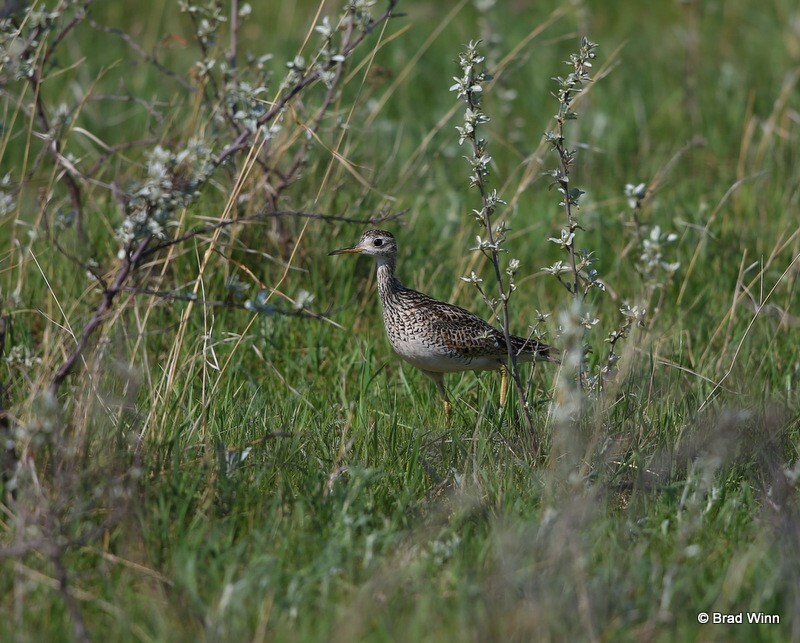 Want to read more about the important shorebird sites discussed here? E.H. Miller and A.J. Baker. 1980. Displays of the Magellanic Oystercatcher (Haematopus leucopodus). The Wilson Bulletin Vol. 92:2 (149-288). United States Fish and Wildlife Service. 2013. Endangered and Threatened Wildlife and Plants; Proposed Threatened Status for the Rufa Red Knot (Calidris canutus rufa); Proposed Rule. Federal Register Vol. 78:189. Wetlands International. 2019. “Waterbird Population Estimates”. Retrieved from wpe.wetlands.org on Monday 11 Mar 2019.